If you are a Canadian citizen residing in the United States or Bermuda, you are forced to rely on the mail system or couriering your passport application and photos into Passport Canada, unless you choose to fly into the country and visit an office physically. 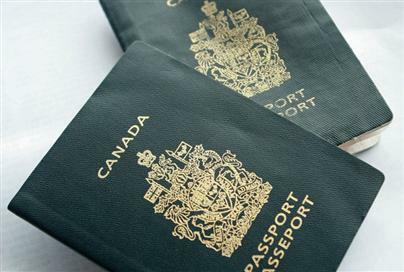 As a result, the importance of your application, associated documentation, and Canadian Passport Photos being correctly put together and according to Passport Canada’s specifications is essential. Any number of common mistakes can get you a rejection. Many of our customers convey their frustrations with not being able to be refunded their passport fees when this happens, long wait times on the phone, and adding a monetary loss to what suddenly becomes a frustrating experience prior to anticipating travel. As an exercise in awareness, we’re providing a detailed breakdown of Passport Canada’s fees associated with the submission of your Canadian passport application. These fees are the government fees associated with your Canadian passport application being processed, and are separate from the $99 fee that Canada Passport Help charges for our custom assessment service of your application and photos. For a standard 24 page Canadian adult passport, the government fee is $97 CAN. For a standard 48 page Canadian adult passport, the government fee is $102 CAN. Children aged 3-15 are $37 for a 24 page Canadian passport and $39 for a 48 pager. Children under 3 are $22 for a 24 page Canadian passport and $24 for a 48 pager.